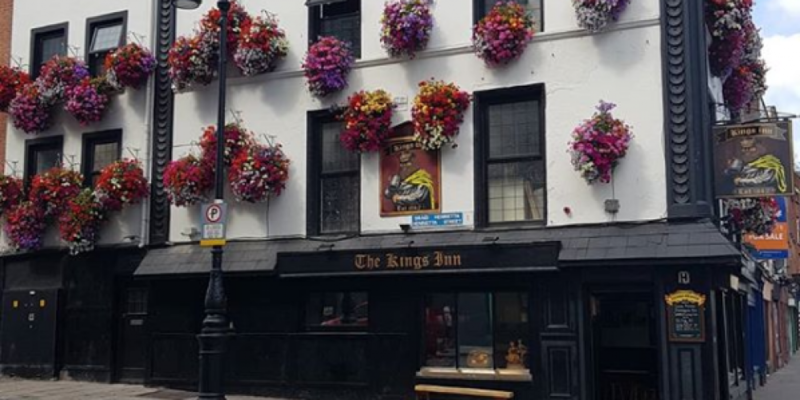 post-title The Kings Inn on Bolton Street has reopened and it’s well worth a visit. 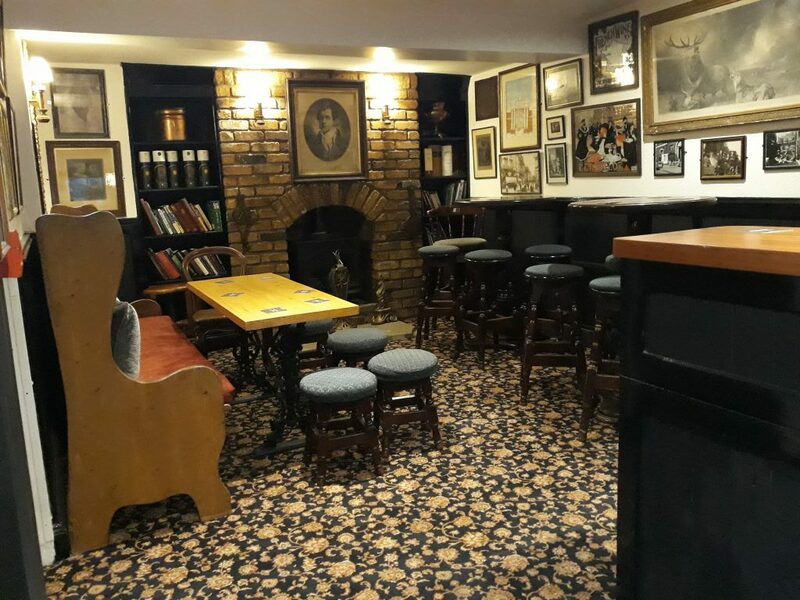 Home / 2018 / The Kings Inn on Bolton Street has reopened and it’s well worth a visit. 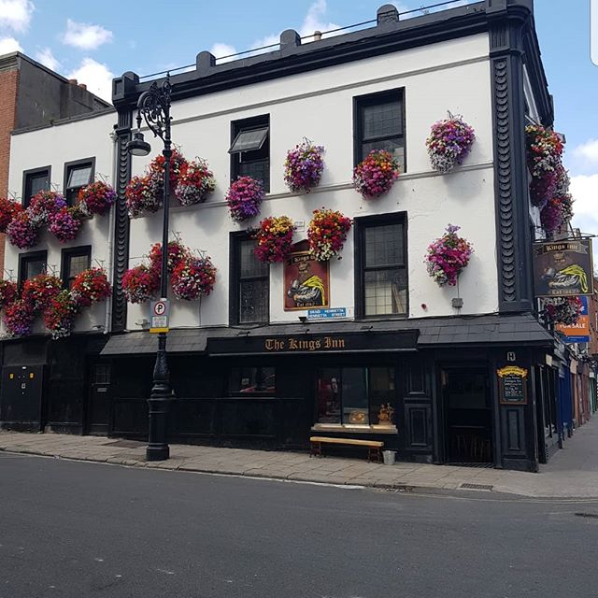 We were in a pub yesterday when we were informed that The Kings Inn on Bolton Street was open and under new ownership and management, so we had to go down to check it out. The pub had been closed for 3 years before reopening 3 weeks ago. They’ve done an exceptional job on the place. They seem to have kept what they needed of the previous pub and have added their own touches to it. In terms of design overall I would say that it bears some resemblance to upstairs in The Lord Edward. 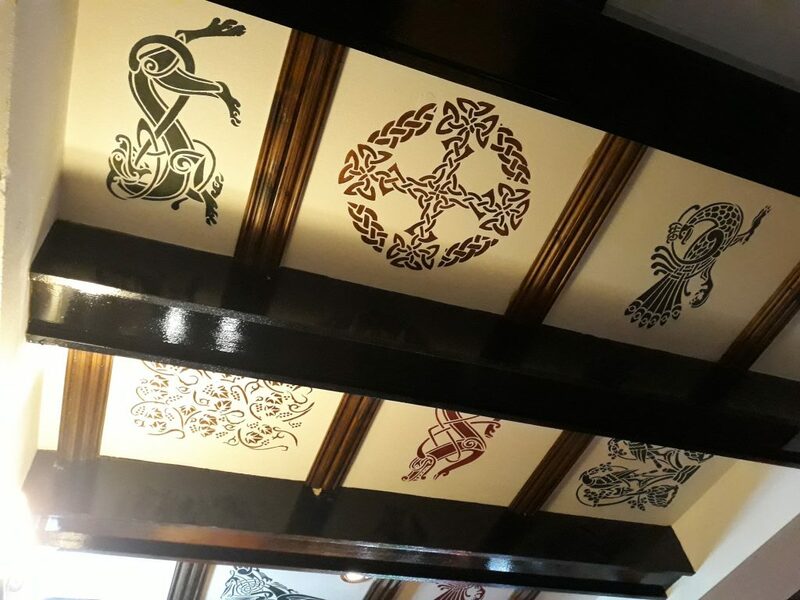 There’s kind of a Tudor paneling running around the walls and on the ceiling, similar to the style of the Lord Edward lounge. 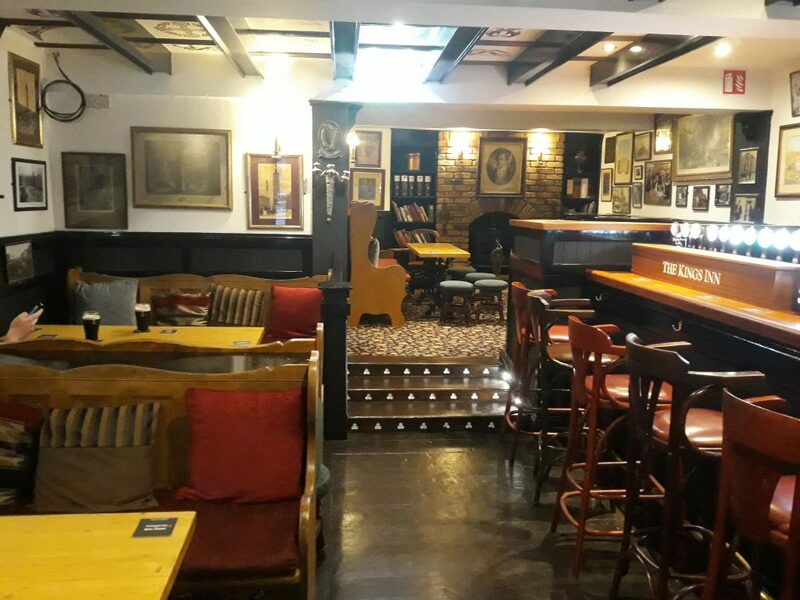 The bar is split into 2 areas, with one area slightly raised above ground level at the back of the bar. This would be a lovely space for a small gathering of friends and will be all the more cosy in winter when they light up the fire. In terms of atmosphere, it’s quite traditional and the bar staff are very welcoming and obliging. When we were in the TVs were on showing the Sunday game. I’d imagine that when there’s no sport on the pub would be filled only with the sound of conversation. Again, think the Lord Edward. It’s rare that a ‘new’ pub seems to get it right straight away, but this place definitely warrants revisiting. 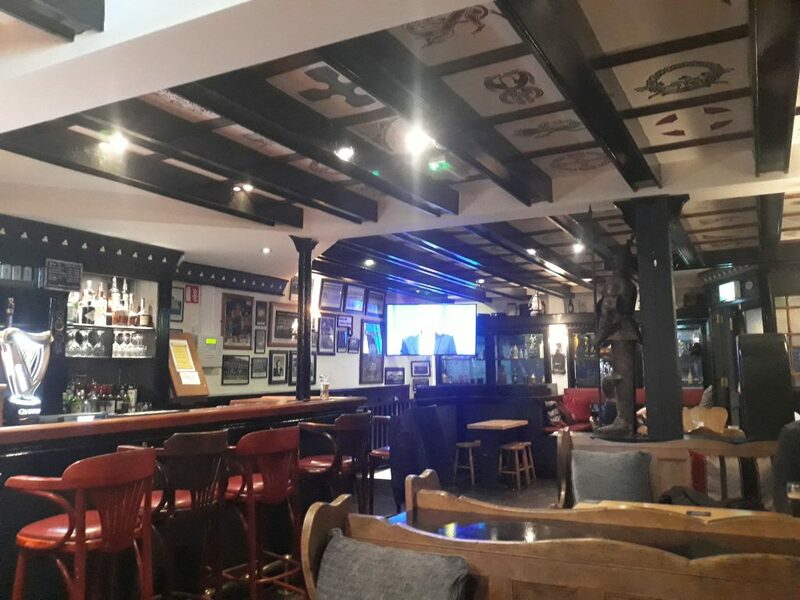 It’s a great spot for quiet pints with groups or for a scoop on your way to Croke Park. Overall, it’s a big thumbs up from us.